We’ll bring your favourite LOL Doll character to life, delivering a party your little one never forgets. After all who doesn’t like surprises! All our entertainers come from a singing, dancing or performance arts background to ensure that your child’s party is unforgettable. What happens at an LOL Doll Party? 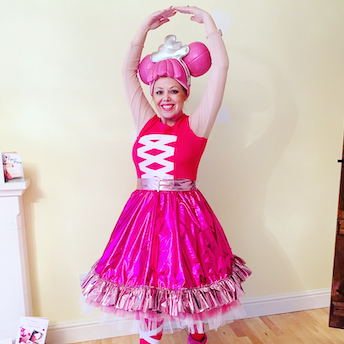 Your entertainer will arrive fully in character and equipped with everything needed to have a truly magical birthday party. Our games are tailored to your child’s age and are highly interactive, with the birthday girl being the centre of attention. If there are any boys at the party we’ll also include some pirate or superhero games too. The party will be jam packed with interactive games, with plenty of music and dancing. This includes our catapult game, fun with the 3m parachute, pass the parcel, musical statues and much much more! We always tailor the games to the age group and space available. Whilst the children enjoy lunch, your entertainer will continue to interact with all the guests, applying glitter tattoos or mini face paints. Your guests will have plenty of time to get down and boogie, as well as play musical themed games and a dance competition. All our entertainers come from a performance background, so this really will form a big part of the party. What is a party without lots of pictures to remember it by? Your guests will have ample opportunity to pose for photos before singing Happy Birthday and digging into some delicious cake, all before the magical birthday wish. The entire team at Especially For You Parties will ensure that your child’s birthday party is nothing short of perfect. We’ve received a phenomenal amount of 5-star feedback from happy mums. Just visit our testimonial page to read what other parents have said about their party. 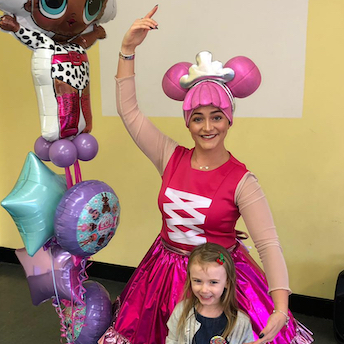 Locations: We provide LOL Doll entertainers all across the UK, including: London, Kent, Surrey, Essex, Berkshire, Buckinghamshire, Bristol, Hampshire, Manchester, Leeds, Birmingham, Coventry, Leicestershire, South Wales, Cardiff, Glasgow, Edinburgh, Southampton and Bournemouth. Visit our location page to find out more.